Good learning environments can be scarce in rural areas. Schools are often in a bad state of disrepair and are poor learning environments. We are working with communities to construct safe child-friendly classrooms and helping to renovate existing classrooms so children have a better opportunity to pursue a quality education in an environment conducive to learning. The Infrastructure Program was initiated following the 2015 Nepal earthquake. 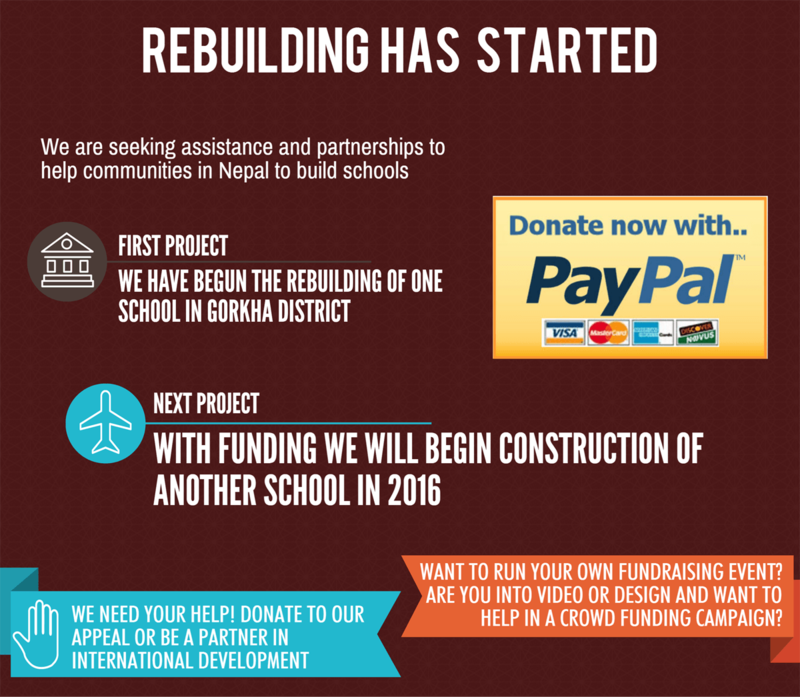 Our first project is to reconstruct a school in the Gorkha District that was destroyed in the disaster. Read more about the infrastructure projects that were carried out under the 2015 Nepal Earthquake Assistance Program.